Is BGO Online Casino Safe? What first started off as an exclusive online bingo site has managed to turn into a major establishment in the online gaming industry. BGO Casino is a well-established online operator that has been live for a number of years now, managing to retain and extend their player pool, reaching all the way to New Zealand as a new online casino market. One way of doing so is through BGO’s wildly varied and irrevocably rewarding game selection. From a few bingo rooms, BGO has gone on to provide a total of 500+ games which, besides bingo, include slots and classic casino games. Proof of its success is the Leading Casino seal of approval it has been rewarded from by CasinoBonusesNow – a service that determines the top casino games providers based on objective and detailed analyses. The other way of keeping up and managing to retain their spot in the overall industry is by identifying the other key demand by existing and upcoming players. 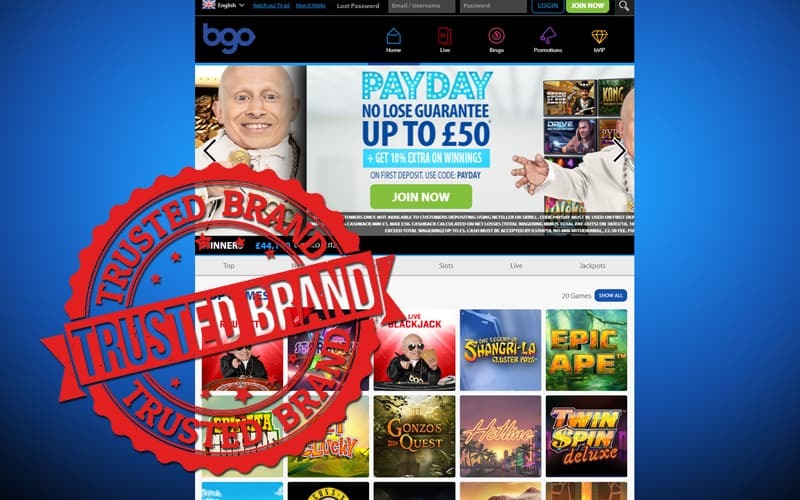 With a more than a significant number of scandals surrounding even the most religiously trusted online casino sites, they had no choice but to ask – is BGO safe enough for me to play? In answer to the dilemma, this matter posed, ‘The Boss’ and all its ‘subjects’ offer factual proof for their platform’s reliability and stability, as well as the players’ complete protection of information. Namely, BGO is currently operating under two licenses – one of the Alderney Gambling Control Commission and the other from the UK Gambling Commission. If this isn’t enough, the operator has further promoted honesty as the best policy against scam websites and states their RTP percentage right on the website. It is even a trusted operator according to Casinopedia, also proven by the actual seal on the BGO website. On a final note, it is inevitable to mention BGO’s dedication to keeping things as fair as possible for their players, from New Zealand or elsewhere. They subject their entire software and game selection to regular independent testing for RNG and provable fairness and still promote gamble awareness so as to prevent causing distress in their players’ lives. After all, knowing Verne ‘Mini Me’ Troyer, there is no saying what benefit he’ll offer next to emphasize the best his platform has to offer. So is BGO safe? Yes, it’s one of the most popular NZ casinos.